A-List celebrity, Rihanna rocks the latest grey-chic hair trend, stating that ‘‘grey is the new black’. Full on grey/silver on her cropped hair back in 2009! Pink was one of the first to put grey to the test. 17year-old Kylie Jenner braves the grey, and impressed with her new colour, (tinted grey-green) she posts pictures of her hair-do on Instagram. This woman, being all about the weird, would probably be considered the most likely celeb to take the go-grey challenge. And not surprising, she looks as glam as ever. Like Pink and Dascha, Holly also opted for full-on grey when she presented the Text Santa show in 2014. 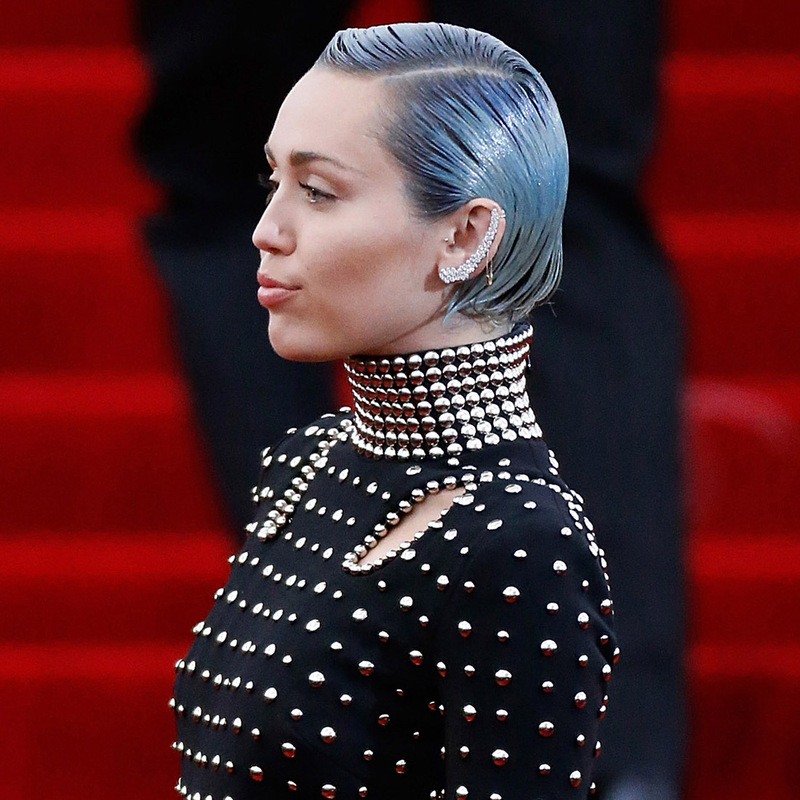 For this year’s Met Gala, Miley’s hair was short, slicked back, and coloured grey with a bluish hue. A word of warning for any of you who may be considering the grey look: your hair needs to be healthy as pre-bleaching is necessary to achieve the colour. Furthermore, grey tones wash out quickly, so it is important to apply toners. Ironically, this is a high-maintenance hairdo.